What Makes Specialty Hospitals So Special? Traditional hospitals are hubs of doctors, nurses, and administrators treating patients with varying afflictions and needs; there is not a singular focus of the facility. Specialty Hospitals are unique in that they focus on a specific concern, population, or area of healthcare. MedBest understands that each facility has its own unique needs and requires a particular skill set in every employee — especially at the executive and management levels. Specialized healthcare means specialized skill sets. Why Have MedBest Recruit Employees for Specialty Hospitals? Specialty Hospitals are a niche of healthcare that requires an extraordinary leadership team. The accreditation and re-certification process alone is stringent, therefore leaders have a heavier burden to establish long-term placement in these hospitals. We understand that there are increased expectations of patients within this realm of healthcare. Due to challenges from the Accountable Care Organizations (ACO), the Joint Commission, CMS, and AHCA, specialty hospitals must follow strict guidelines which can lead to pitfalls when hiring new employees. Management must understand the independent challenges within each specialty. Fortunately, many of our MedBest experts have spent time managing these unique areas of healthcare. At MedBest, we tailor our hiring process to our client’s specific needs to ensure we are providing a long-term solution. These are areas some of the areas where MedBest has successfully recruited long-term employees. The Director of Nursing position is one of the most important jobs in healthcare at a Specialty Hospital. The Director of Nursing is a registered nurse who supervises the care of all the patients at a facility. Excellent communication skills are crucial because the DON is the link between the physicians and the nursing staff. The Director of Nursing is also responsible for making sure physicians understand a patients needs. They must provide a balancing act between professional caregivers and the needs of patients. Directors of Nursing within specialty hospitals must be great politicians, as they must effectively communicate with teh hospiatl board membes and those they report to, such as the hospital Chief Nursing Officer. Without competent leadership in the DON, hospitals can lose patients, nurses, and ultimately revenue. The DON has special training and required certifications to operate in Specialty Hospitals.  If you are seeking a Director of Nursing position within a Specialty Hospital, let MedBest find your dream job. Please check our job board for recent listings. Our unique recruiting system was designed on a 25-step checklist. The comprehensive and rigorous interviewing process allows us to find long-term candidates instead of a temporary fix. MedBest Advantage package features our 25-step recruitment process. In this rigorous screening, we find possible talent and candidates to then recruit and interview. We do all the heavy lifting, meaning clients will usually only interview two final choices. Our dedicated team will then work with our client to ensure that the candidate is secured for the long-term. MedBest Premium offers all that MedBest Advantage does, but launches it step further. A perfect match is guaranteed with the use of personality testing. This unique and highly effective form of testing allows us to screen potential candidates for possible conflicts and personality elements that may become troublesome in the long run. The experts at MedBest put their knowledge, experience, and dedication to work recruiting for every client. Contact us today to find the perfect executives for your Specialty Hospital.